April 24, 2017, 7 p.m.
By Ricardo Bilton @rbilton April 24, 2017, 7 p.m.
For news organizations, the promise of VR has been marred by a handful of challenges that have so far made it difficult to justify wholesale investment in the technology. That’s clear from a new report from the Reuters Institute for the Study of Journalism that takes an in-depth look at the state of VR news in 2017. The conclusion: despite some earnest early efforts among news organizations, widespread adoption of the technology among consumers is still years away. VR is held back by lukewarm consumer adoption. True consumer-grade virtual reality tech is still a relatively new technology and, as a result, is inaccessible by the vast majority of people. While the likes of The New York Times and the Financial Times have helped this along by offering subscribers inexpensive, smartphone-compatible headsets, the tech’s penetration is ultimately in the hands of tech companies like Google and Facebook, which are improving the technology and bringing down prices. Martin Heller, head of video innovation at Die Welt, said that widespread adoption of VR is still at least three to four years away. Technical limitations are also an issue on the production side. While cheaper VR-enabed cameras have lowered the barrier to entry, VR production is still held back a lack of standards and an overabundance of walled gardens that complicate the process of developing for multiple platforms. For smaller news organizations, these factors have made investing in the tech a non-starter. A lot of VR content is uncompelling. Multiple people that Watson spoke to said that, while news organizations are using VR to experiment with new ways of telling stories, there isn’t enough content to make the technology compelling to many people. While some news organizations have gone beyond high-end documentaries in VR, most are still firing out what stories work best in the format. “I’m afraid that more and more people in news organizations use 360 for stories that are not interesting. Bad content will keep people away from watching it,” said Max Boenke, head of video at Berliner Morgenpost. VR still has a monetization problem. One of the most vital open questions for VR is how news organizations will make any money from it. So far, most news organizations have embraced either partnerships with tech companies or branded content deals with advertisers to fund their VR projects — but neither model feels like a viable longterm answer to the monetization question. The equation could change as VR wins over more consumers, however, making advertising a more compelling option. 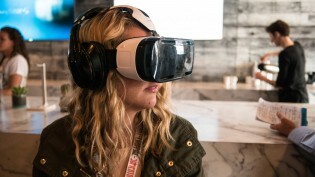 Despite these issues, news organizations are still pushing ahead with creating VR content, in part because doing so helps brand them as innovative and forward thinking, as Watson writes. Forward-thinking organizations want to be positioned to embrace it and don’t want a repeat of how they were left behind by the Web. And to the extent that such tech experimentation is seen as important for the brands, simply doing it could be seen as a success in itself. Photo of HTC Vive by Maurizio Pesce used under a Creative Commons license. POSTED April 24, 2017, 7 p.m.
Bilton, Ricardo. 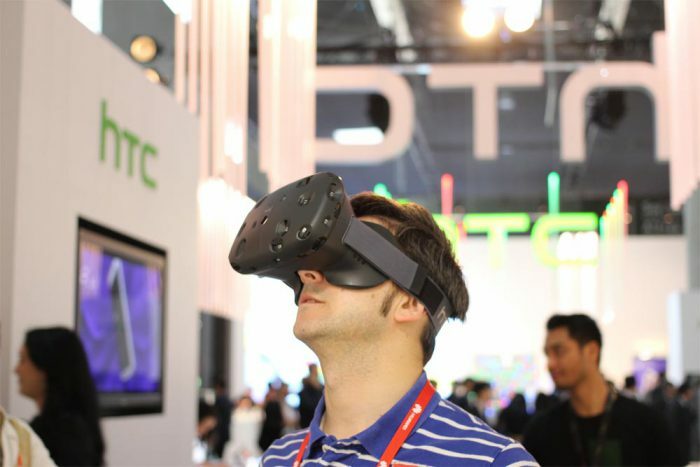 "What’s holding back virtual reality news? Slow tech adoption, monetization, and yes, dull content." Nieman Journalism Lab. Nieman Foundation for Journalism at Harvard, 24 Apr. 2017. Web. 25 Apr. 2019. Bilton, Ricardo. 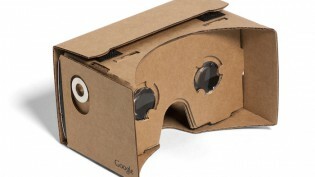 "What’s holding back virtual reality news? Slow tech adoption, monetization, and yes, dull content." Nieman Journalism Lab. Last modified April 24, 2017. Accessed April 25, 2019. https://www.niemanlab.org/2017/04/whats-holding-back-virtual-reality-news-slow-tech-adoption-dull-content-and-yes-monetization/.